There are three different types of aviation medical certificates a pilot can obtain: a first class, second class, and a third class certificate. The type of flying a pilot does, or intends to do, will determine the category of aviation medical exam he or she will need. It's important to make sure the correct medical certificate is obtained for the type of flying to be done. Anyone can apply for any of the three medical certificate types. 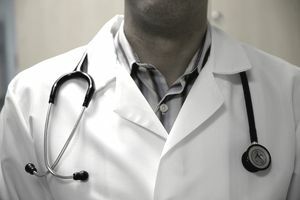 For example, a first-class medical certificate is necessary only for airline pilots and some other commercial pilots; however, a student pilot who desires to enter a career in aviation might want to obtain a first-class medical certificate to ensure that he or she meets the required standards before investing time and money into flight training. The type of medical certificate is based on the type of airmen privileges a pilot wants to use. For example, a private pilot with a first class medical certificate will be able to utilize the privileges of a first-class medical certificate until it expires, at which point he can utilize the same medical certificate, but is downgraded to second or third class medical privileges. First class medical certificates are a requirement for airline transport pilots. Any pilot that exercises the privileges of an airline transport pilot must pass and maintain a first-class aviation medical certificate. What is the duration period? For airline pilots or those that are otherwise required to maintain a first-class medical, the valid period for the medical certificate is six months for those who are age 40 or older or 12 months for pilots under 40. A pilot with a first class medical can utilize second-class medical privileges (commercial pilots) for 12 months, no matter their age. A pilot with a first class medical can utilize third class medical privileges for 24 months if age 40 or older, or 60 months if under 40. Pilots exercising commercial pilot privileges need at least a second-class aviation medical certificate. In addition, flight engineers, navigators, and air traffic controllers are required to maintain second-class medical certificates. Second class medical certificates are valid for 12 months. A pilot with a second-class medical certificate can exercise third class medical privileges for 24 months if age 40 or older, or 60 months if under age 40. Student pilots, recreational pilots, private pilots and flight instructors who act as pilot in command or serve as a required crewmember need at least a third class medical certificate. A third class medical certificate is valid for 24 months if you're age 40 or older or for 60 months if you're under 40 years old.